Eat in Granada where locals take food very seriously. With lots of local produce to enjoy, seasonal recipes and bite size tapas at every turn. This guide will help you navigate the local food scene. It may come in especially useful if you have a fussy eater in your group or its your first time in Andalusia. So what do the locals in Granada eat for Breakfast? 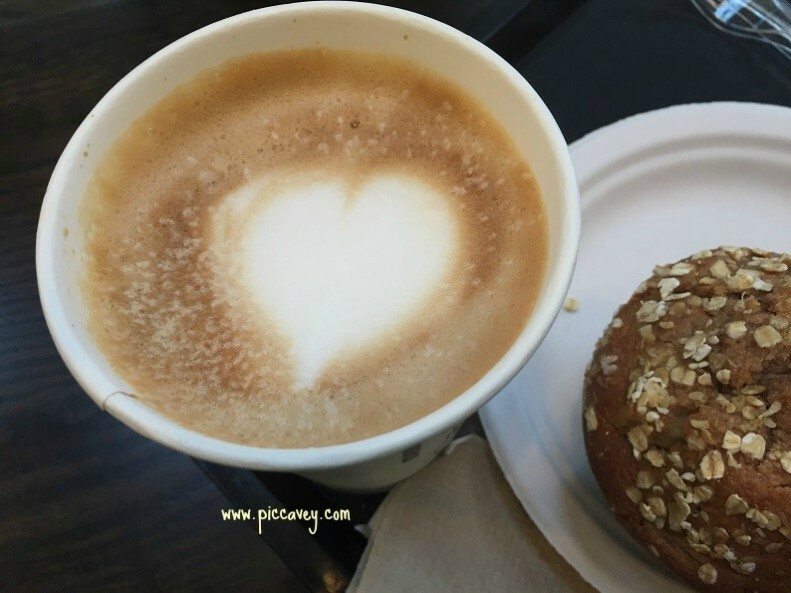 astries, most cafés have croissants and donuts. Often you will find a pastry called Suizo (meaning swiss) it is warmed up and spread with butter and jam. You can also ask for croissants to be served like this. Toast is also typical. Popular combinations are boiled ham, jamon serrano, pate, butter and jam or cheese. Baguette shaped rolls are served in Granada. Therefore you need to choose if you want the entire roll, top and bottom, or ask for half, meaning just one piece of the roll. In Spanish Media is half entera is the whole piece. If there are a family or a group of you it may work out cheaper to order 2 whole toasts instead of 4 halves. The most popular toast choice is with tomato with EVOO olive oil drizzled on top. As there are 3 different breads: Wholewheat, white and sometimes Mollete. You may get to choose the type of bread too. Mollete is soft floury roll from Antequera. Recommendable with jamon serrano, olive oil and tomato, this option is often called Mollete Catalan. Descafeinado is decaffinated coffee and can be made with the coffee machine de maquina or in soluble form in a sachet. As you prefer. Most places have teas and infusions. Other drinks at breakfast are chocolate milk like Batido de Puleva or Cola Cao. 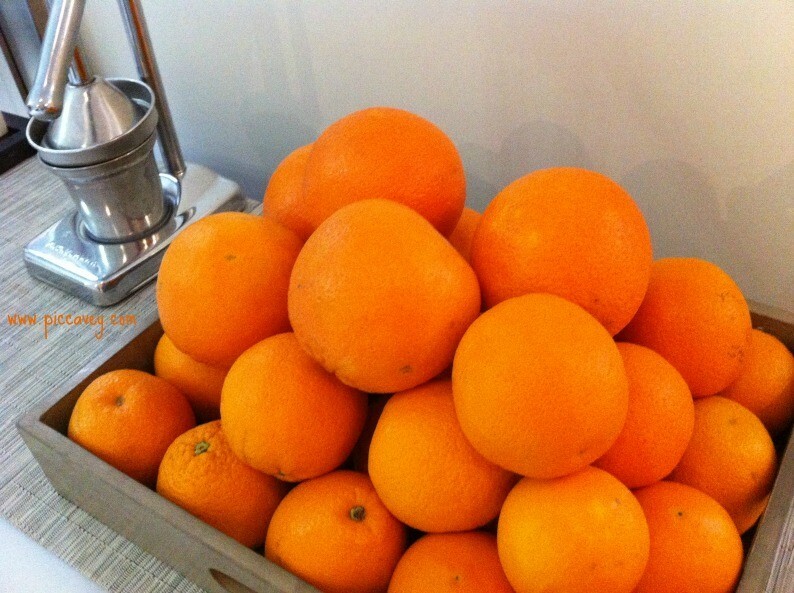 Orange juice is natural and usually made with local oranges. Expect to pay 1.80 euros to 2.50 euros depending on the size of the glass. Another popular breakfast choice is Chocolate and churros. 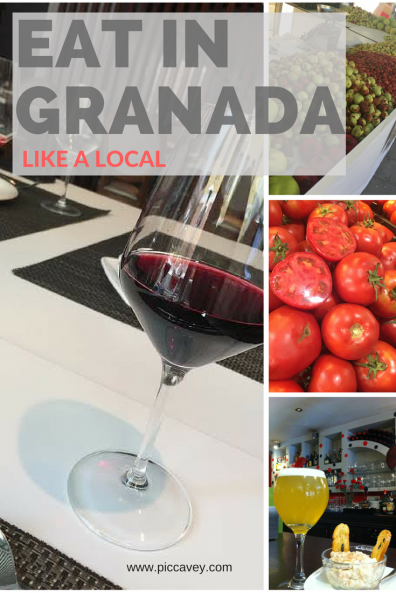 Rather than an everyday option, people tend to eat in Granada on Sundays or special days. 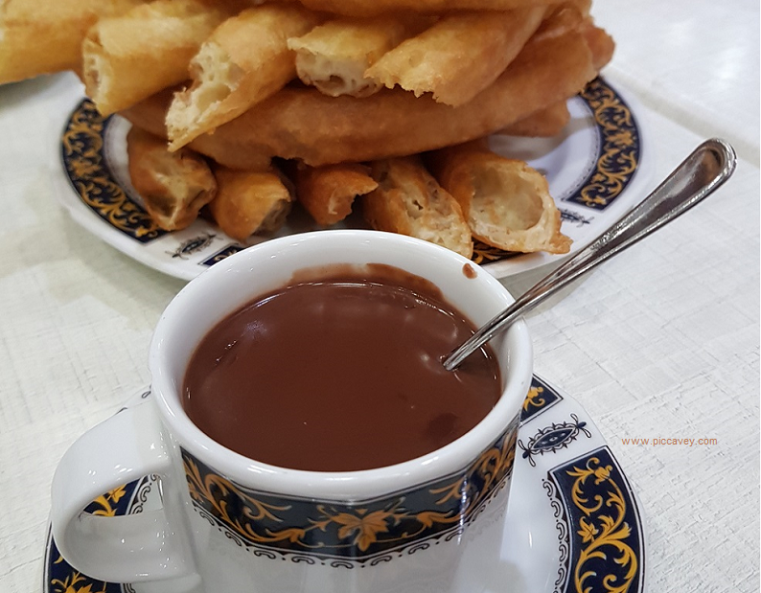 Thick gloopy liquid chocolate and hot churros to dip in. Churros are made from a similar mix as doughnuts and are fried in hot oil. Granada and lots of Andalusian locations dont really eat eggs for breakfast. There are a few places in the city that offer Eggs. Midweek look out for Menu del dia as this is best value choice. This includes 3 courses. Starter is normally soup or salad, then followed by a meat or fish main course. Desserts are simple, yoghurt, a piece of fruit or maybe something homemade. Expect to pay from 8 euros to 15€ depending on the location. If you prefer something on the run, ask for a Bocadillo. In Granada head to the Aliatar, which is a traditonal bar off Bib Rambla. 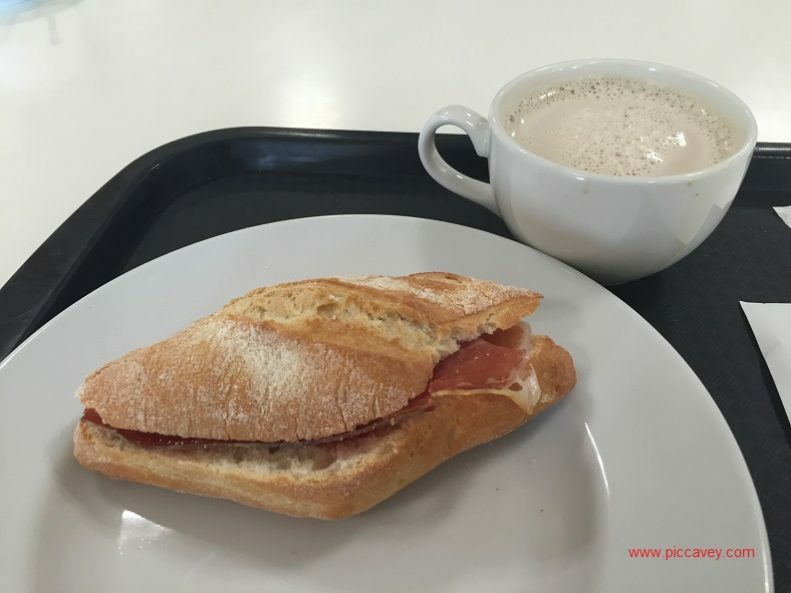 Here you will find baguette fillings like Spanish omlette, tortilla de patatas or Spanish ham, jamon serrano. Some more original ones are Broad beans and ham or San Francisco which has pork loin tomato and cheese. Gazpacho/Salmorejo which are Cold tomato soups. Served in the hot Summer months. Gazpacho is more liquid whereas Porra or Salmorejo are thickened with breadcrumbs and other ingredients. Basically it is like a liquid salad and perfect when its very hot. 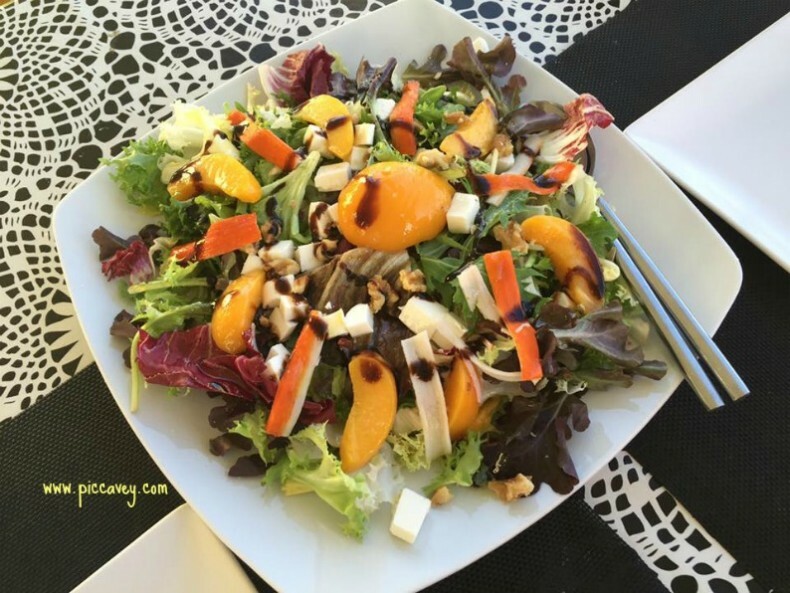 Ensalada de la casa or Ensalada mixta The house salad which usually has lettuce tomato onion + cucumber as the base. Other ingredients maybe added depending on the place . Revuelto de esparragos setas – like scrambled eggs with other ingredients, asparagus, garlic, mushrooms or vegetables. 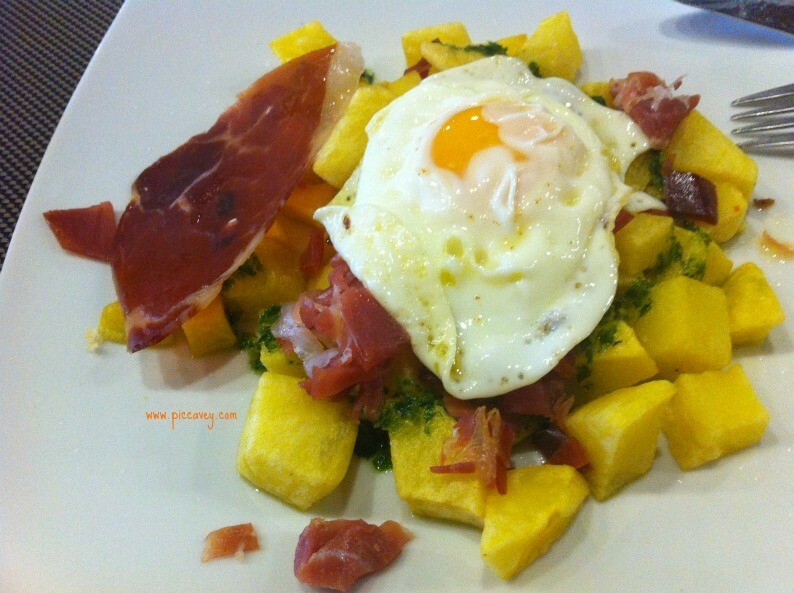 Huevos rotos con jamon – Fried eggs, Potatoes + ham. Perfect for sharing. 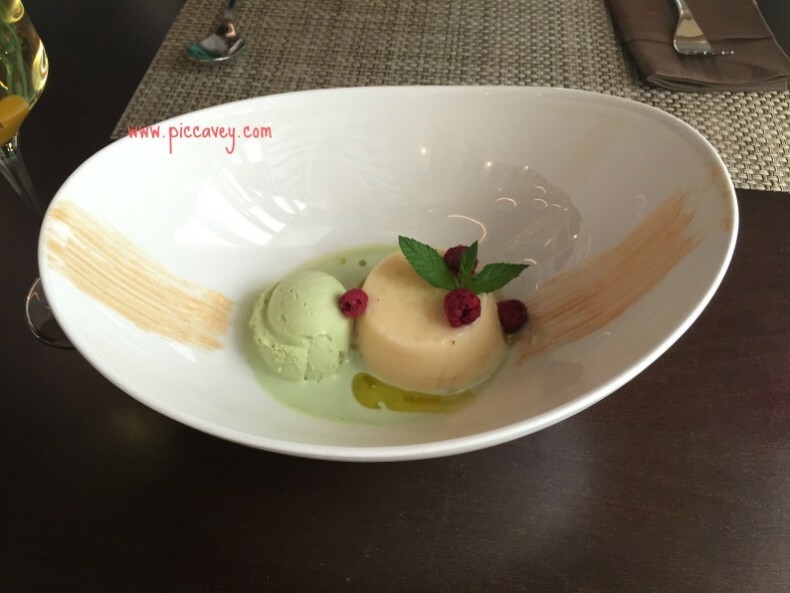 Habas con jamon – Broad beans & local ham. Sometimes served with fried egg on top and may or not have fried onion. Carne en salsa – Meat in sauce. Usually pork in tomato & onion sauce. Served often for tapas too. Albondigas en salsa de almendras o tomate – Meatballs in almond or tomate sauce. Bacalao – Cod fish, usually fried or oven baked. Flan – The omnipresent dessert. This is made from eggs sugar and milk. It is steam cooked and appears on most Spanish menus. Crema Catalana is very similar to flan as also made with eggs and sugar, called Crème brulee in other countries. Natillas – this dish is a bit like custard, flavoured with vanilla but served cold. Sometimes it is served with a biscuit too. Arroz con leche – Very similar to Rice pudding. Made with rice, milk, sugar and dusted with cinnamon. Fruta del tiempo – Fruit. In summer expect Melon or watermelon. Pionono – Typical in Granada. A small sponge cake made with cinnamon, sugar and eggs small but packed with flavour. 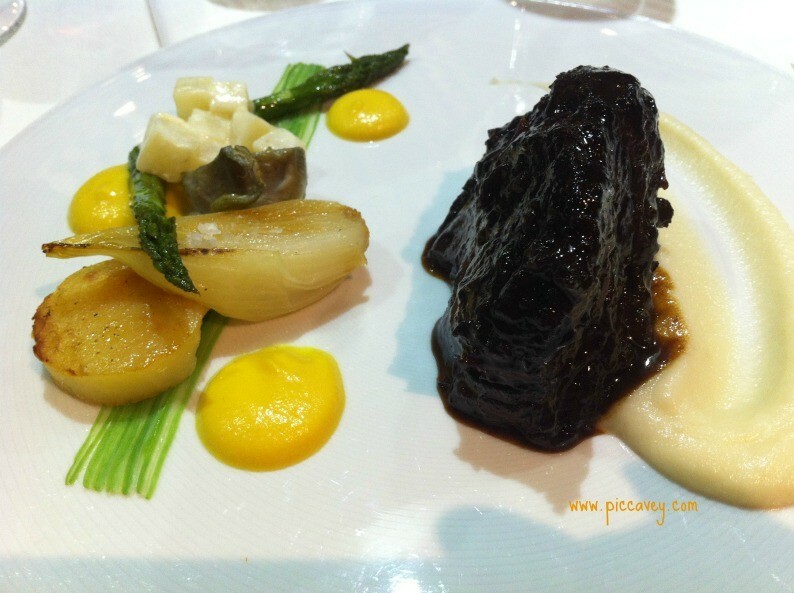 Tarta de manzana, tarta de chocolate, tarta de queso… Apple cake, chocolate cake and cheesecake. Many places have cake of the day for their lunchtime customers. Sometimes homemade or perhaps bought in from local bakeries. The gap between lunch at 3pm and dinner at 10pm is huge. So Merienda is the afternoon snack that fills this void mid afternoon. Maritoñis – A flat cake made locally with a pumpkin pie style filling. 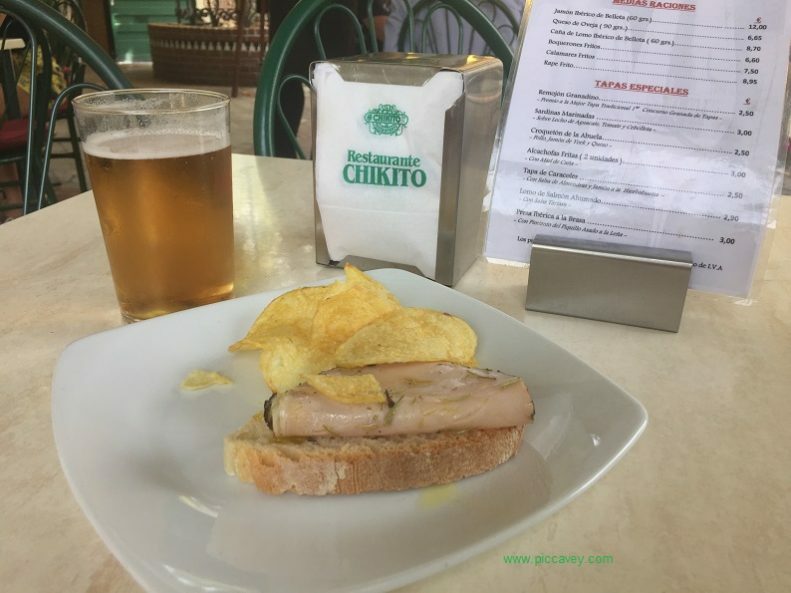 You may find this guide about Snacking in Granada and Local Street food handy to read too. For an evening meal in Granada there are several options. Tapas are free nibbles offered with each drink you order. However it may not be enough to cover dinner. Order a racion to complete your meal. Having a sit down meal known as La cena means ordering A la carte. Options will be similar menu del dia however the selection will be more varied. Some places do offer a Childrens menu (menu infantil in Spanish) but it is not as popular as in other countries. 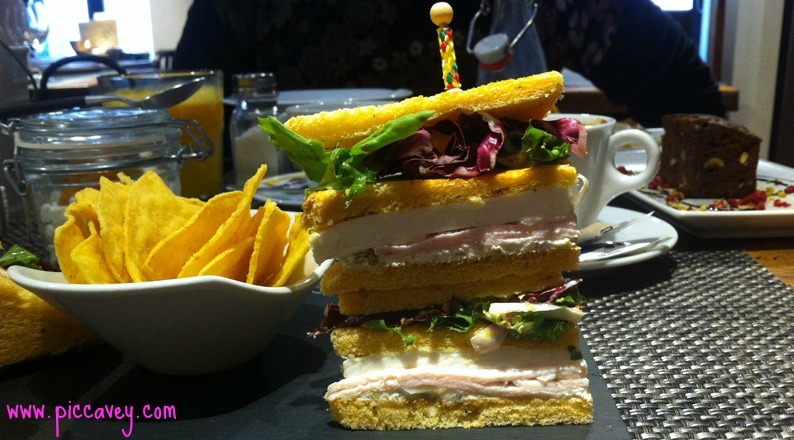 In very large restaurants, museums, and fast food places is where you tend to see more of them on offer. You will be able to Eat in Granada as family with no bother. Child seats are available and spaces can be found for strollers and prams if needed. Spanish children tend to eat the same food as adults. Families may order a racion or plato combinado to share between two children. Restaurants are usually accommodating to families. Very informative article, as always! Ordering tea with milk took a while for me to,perfect. 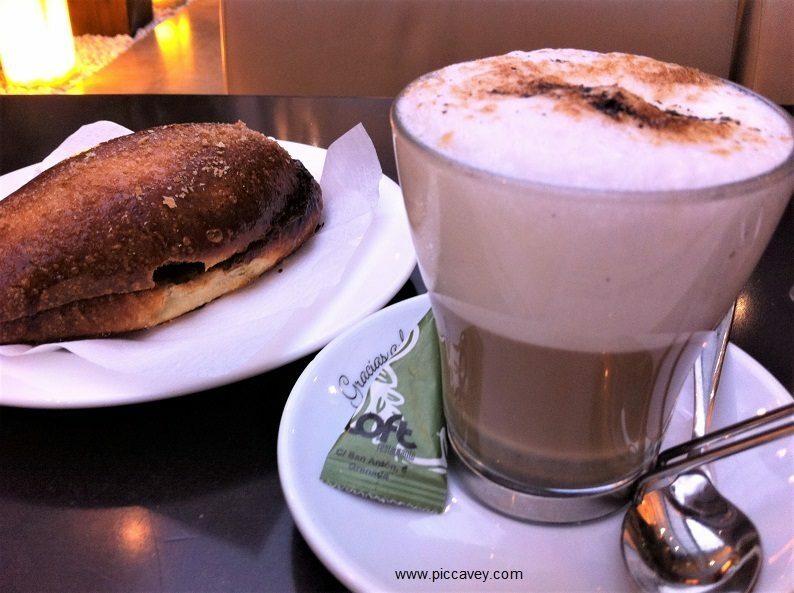 The key phrase is “con leche fría aparte” – with cold milk served separately – they will bring it in a cup (tricky to pour!) or, in a smarter establishment, in a little jug. This makes me so excited for my visit in November. SO many delicious and local options to choose from. Would love to know if there are healthier options too. 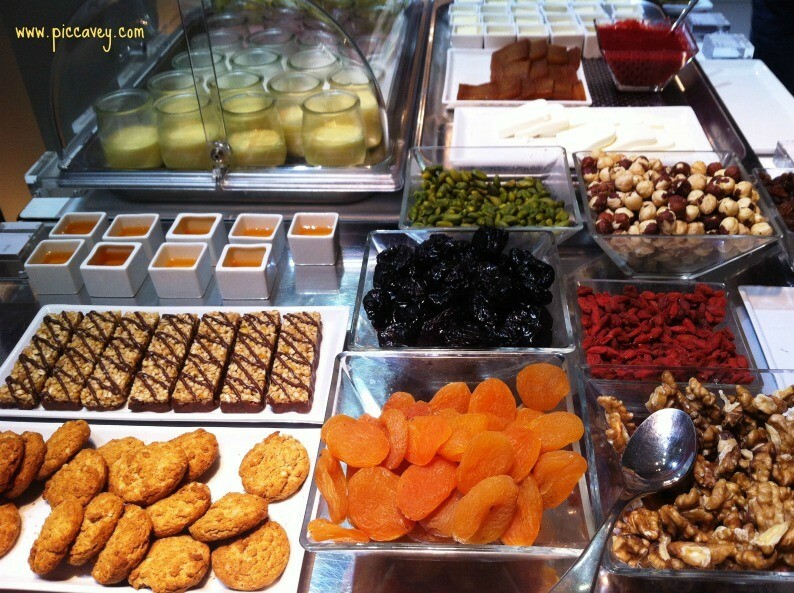 For instance, typical food with a healthy twist? 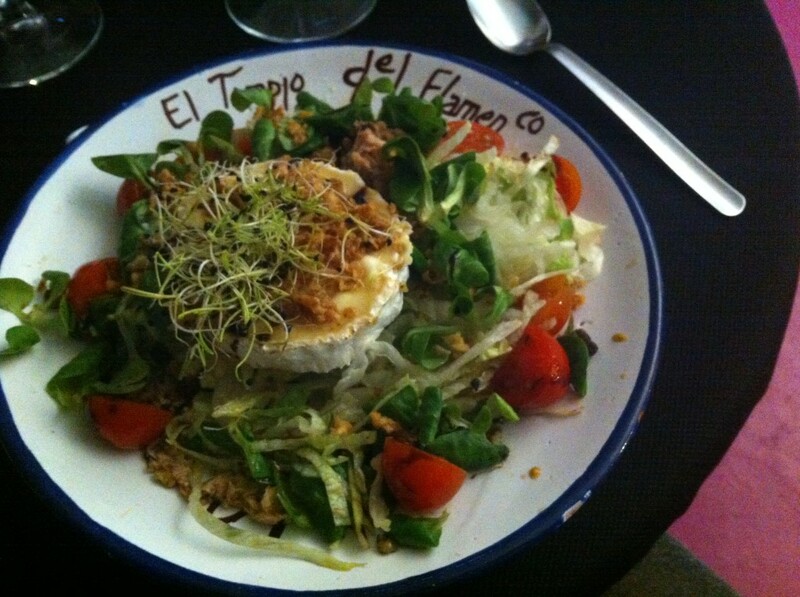 The salad with Queso de Cabra on top looks to die for!! Saved this article for my planning!! 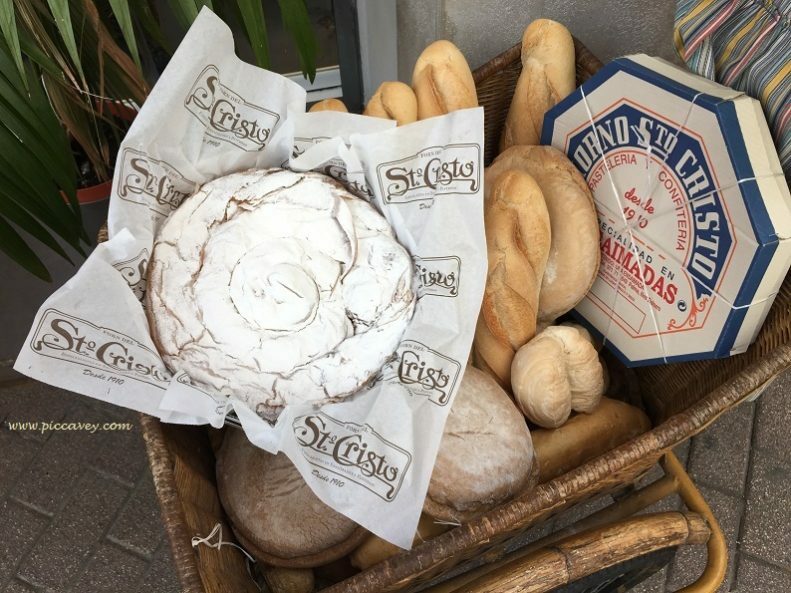 These were the most typical and traditional foods in Granada. However there are lots of healthy options about too. OH my, everything looks delicious! 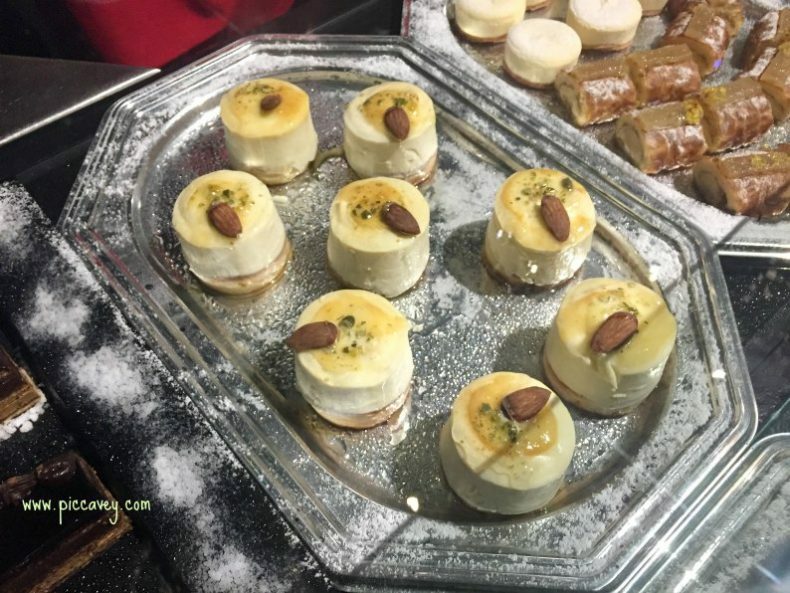 I’ve been to Spain a couple of times, but have yet to make my way to Granada and all of it’s yummy food! Thank you for sharing – now my wanderlust to that city is super strong! Can’t wait to go ! Hi great post. I am a vegan, any tips for me how to navigate meal times out. I am wondering if i will eat bread with tomato all the time. I like the idea of a broad bean stuffed baguette, but can that be ordered without the ham? I would highly encourage you to choose the recommended Vegetarian places in Granada as they will be more used to Vegan requests than standard restaurants.